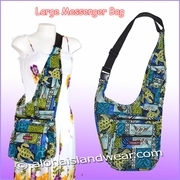 This Hawaiian print cross body messenger bag is designed with duo zip-pockets on single layer, a larger size mobile phone pocket with velcro cover that fit most larger smart phone, a black nylon strap with a lock buckle is attached with the bag, the strap is adjustable for best fit, great for daily basic use, personal carry bag, student school bag, travel bag or as a souvenir gift from Hawaii. 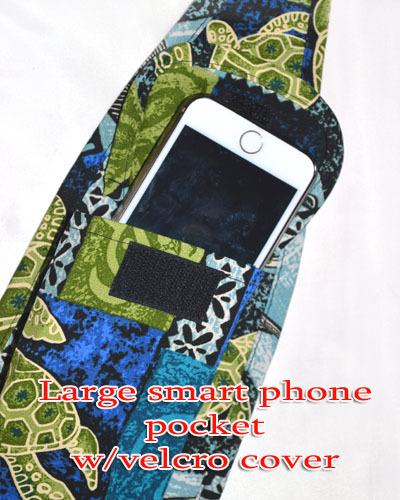 - The large zip-pocket dimension approximate: 8"w X 8"h.
- The smaller zip-pocket dimension approximate: 7"w X 7.5"h.
- A 1.5" black Nylon strap. 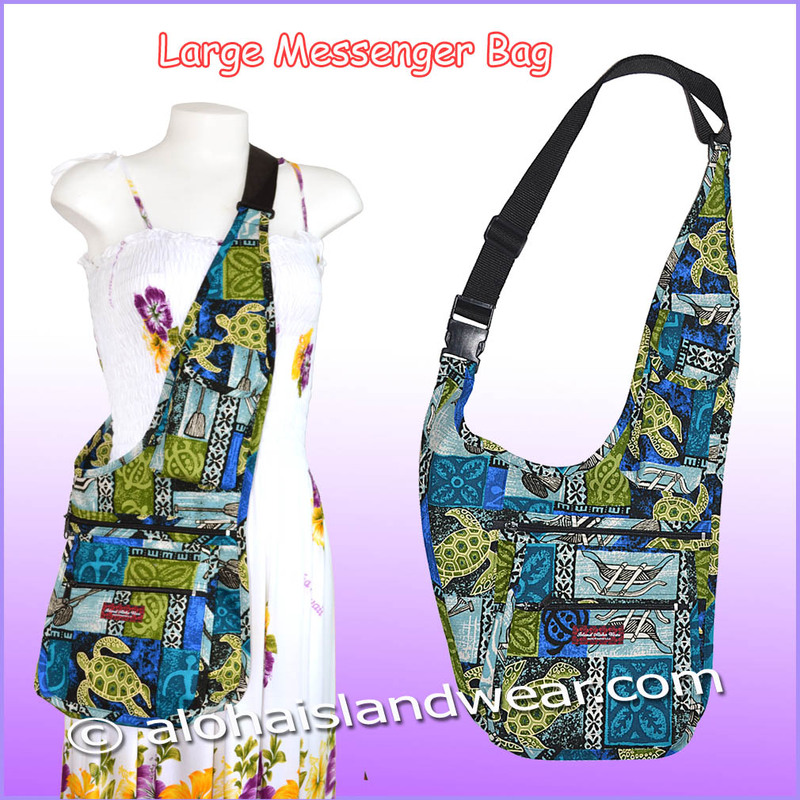 Due to the pattern were cut from random position of the fabric, the print laid out position of each bag is not look exactly same as the photo shown on this page. Mobile phone in the photo is not included.